A recently suggested equation of state with the induced surface tension is generalized to the case of quantum gases with mean-field interaction. The self-consistency conditions of such a model and the conditions necessary for the Third Law of thermodynamics to be satisfied are found. The quantum virial expansion of the van der Waals models of such a type is analyzed, and its virial coefficients are given. In contrast to traditional beliefs, it is shown that an inclusion of the third and higher virial coefficients of a gas of hard spheres into the interaction pressure of the van der Waals models either breaks down the Third Law of thermodynamics or does not allow one to go beyond the van der Waals approximation at low temperatures. It is demonstrated that the generalized equation of state with the induced surface tension allows one to avoid such problems and to safely go beyond the van der Waals approximation. In addition, the effective virial expansion for the quantum version of the induced surface tension equation of state is established, and all corresponding virial coefficients are found exactly. The explicit expressions for the true quantum virial coefficients of an arbitrary order of this equation of state are given in the low-density approximation. A few basic constraints on such models which are necessary to describe the nuclear and hadronic matter properties are discussed. J.D.Walecka. A theory of highly condensed matter. Annals Phys. 83, 491 (1974) . J. Zimanyi et al. An interpretable family of equations of state for dense hadronic matter. Nucl. Phys. A 484, 647 (1988). K.A. Bugaev, M.I. Gorenstein. 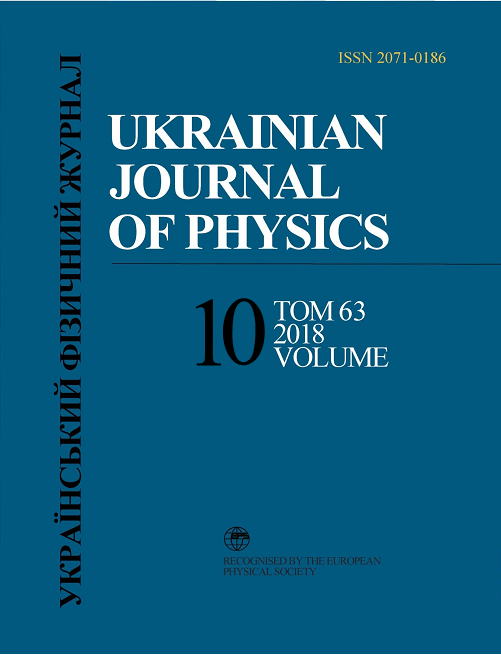 Thermodynamically self-consistent class of nuclear matter EOS and compression shocks in relativistic nuclear collisions. Z. Phys. C 43, 261 (1989). D.H. Rischke, M.I. Gorenstein, H. St¨ocker, W. Greiner. Excluded volume effect for the nuclear matter equation of state. Z. Phys. C 51, 485 (1991). T.H.R. Skyrme. CVII. The nuclear surface. Phil. Mag. 1, 1043 (1956). T.H.R. Skyrme. The effective nuclear potential. Nucl. Phys. 9, 615 (1959). J.P. Hansen, I.R. McDonald. Theory of Simple Liquids (Academic, 2006). L. Van Hove. Quelques proprietes generales de l'integrale de configuration D'un systeme de particules avec interaction. Physica 15, 951 (1949). L. Van Hove. Sur l'integrale de configuration pour les systemes de particules a une dimension. Physica 16, 137 (1950). M.I. Gorenstein, D.H. Rischke, H. St¨ocker, W. Greiner, K.A. Bugaev. A self-consistent equation of state for nuclear matter. J. Phys. G 19, L69 (1993). V. Vovchenko, D.V. Anchishkin, M.I. Gorenstein. Van der Waals equation of state with Fermi statistics for nuclear matter. Phys. Rev. C 91, 064314 (2015). K. Redlich, K. Zalewski. Thermodynamics of van der Waals fluids with quantum statistics. Acta Phys. Polon. B 47, 1943 (2016). N.F. Carnahan, K.E. Starling. Equation of state for nonat-tracting rigid spheres. J. Chem. Phys. 51, 635 (1969). K. Huang. Statistical Mechanics (Wiley, 1963). A. Andronic, P. Braun-Munzinger, J. Stachel. Hadron production in central nucleus–nucleus collisions at chemical freeze-out. Nucl. Phys. A 772, 167 (2006) and references therein. K.A. Bugaev, D.R. Oliinychenko, A.S. Sorin, G.M. Zinovjev. Simple solution to the strangeness horn description puzzle. Eur. Phys. J. A 49, 30 (2013). D.R. Oliinychenko, K.A. Bugaev, A.S. Sorin. Investigation of hadron multiplicities and hadron yield ratios in heavy ion collisions. Ukr. J. Phys. 58, 211 (2013). K.A. Bugaev et al. Chemical freeze-out of strange particles and possible root of strangeness suppression. Euro-phys. Lett. 104, 22002 (2013). J. Stachel, A. Andronic, P. Braun-Munzinger, K. Redlich. Confronting LHC data with the statistical hadronization model. J. Phys. Conf. Ser. 509, 012019 (2014) and references therein. V.V. Sagun. Λ-anomaly in the hadron chemical freeze-out. Ukr. J. Phys. 59, 755 (2014). K.A. Bugaev et al. Going beyond the second virial coefficient in the hadron resonance gas mode. Nucl. Phys. A 970, 133 (2018). V.V. Sagun et al. Hadron resonance gas model with induced surface tension. Eur. Phys. J. A 54, 100 (2018). K.A. Bugaev et al. Threshold collision energy of the QCD phase diagram tricritical endpoint. Phys. Part. Nucl. Lett. 15, 210 (2018). V.V. Sagun, K.A. Bugaev, A.I. Ivanytskyi, I.N. Mishustin. The statistical multifragmentation model for liquid–gas phase transition with a compressible nuclear liquid. Nucl. Phys. A 924, 24 (2014). K.A. Bugaev, M.I. Gorenstein, I.N. Mishustin, W. Greiner. Exactly soluble model for nuclear liquid-gas phase transition. Phys. Rev. C 62, 044320 (2000). J.P. Bondorf et al. Statistical multifragmentation of nuclei. Phys. Rep. 257, 131 (1995). A. Kostyuk, M.I. Gorenstein, H. St¨ocker, W. Greiner. Second cluster integral and excluded volume effects for the pion gas. Phys. Rev. C 63, 044901 (2001). J. Kolafa, M. Rottner. Simulation-based equation of state of the hard disk fluid and prediction of higher-order virial coefficients. Mol. Phys. 104, 3435 (2006). B. Barboy, W.M. Gelbart. Series representation of the equation of state for hard particle fluids. J. Chem. Phys. 71, 3053 (1979). S. Typel. Variations on the excluded-volume mechanism. Eur. Phys. J. A 52, 16 (2016). A.I. Ivanytskyi, K.A. Bugaev, V.V. Sagun, L.V. Bravina, E.E. Zabrodin. Influence of flow constraint on the properties of nuclear matter critical endpoint. Phys. Rev. C 97, 064905 (2018). K.A. Bugaev. The Van-der-Waals gas EOS for the Lorentz contracted spheres. Nucl. Phys. A 807, 251 (2008) and references therein. V. Vovchenko. Equations of state for real gases on the nuclear scale. Phys. Rev. C 96, 015206 (2017). P. Danielewicz, R. Lacey, W.G. Lynch. Determination of the equation of state of dense matter. Science 298, 1592 (2002). M. Dutra et al. Relativistic mean-field hadronic models under nuclear matter constraints. Phys. Rev. C 90, 055203 (2014) and references therein. O. Lourenco, M. Dutra, D.P. Menezes. Critical parameters of consistent relativistic mean-field models. Phys. Rev. C 95, 065212 (2017). V.V. Sagun, I. Lopes. Neutron stars: A novel equation of state with induced surface tension. Astrophys. J 850, 75 (2017). R. Venugopalan, M. Prakash. Thermal properties of interacting hadrons. Nucl. Phys. A 546, 718 (1992). L.M. Satarov, M.N. Dmitriev, I.N. Mishustin. Equation of state of hadron resonance gas and the phase diagram of strongly interacting matter. Phys. Atom. Nucl. 72, 1390 (2009). K.A. Bugaev. Shock-like freeze-out in relativistic hydrodynamics. Nucl. Phys. A 606, 559 (1996). K.A. Bugaev. Relativistic kinetic equations for finite domains and freeze-out problem. Phys. Rev. Lett. 90, 252301 (2003) and references therein. L.M. Satarov, K.A. Bugaev, I.N. Mishustin. Equation of state and sound velocity of a hadronic gas with a hard-core interaction. Phys. Rev. C 91, 055203 (2015). N. Agrawal et. al. Probing the hadronic phase with resonances of different life-times in Pb-Pb collisions with ALICE. [ALICE Collaboration] arXiv:1711.02408v1 [hep-ex]. L. Adamczyk et al. [STAR Collaboration] Probing parton dynamics of QCD matter with Ω and ф production. Phys. Rev. C 93, 021903 (2016). D. Rischke. Exploring strongly interacting matter at high densities – NICA white paper. Eur. Phys. J. A 52, 267 (2016). P. Senger. Nuclear matter physics at NICA. Eur. Phys. J. A 52, 217 (2016). P. Senger. The compressed baryon matter experiment at FAIR. Nucl. Phys. A 862–863, 139 (2011). T. Ablyazimov et al. Challenges in QCD matter physics – the scientific programme of the Compressed Baryon Matter experiment at FAIR. Eur. Phys. J. A 53, 60 (2017).